Our season has run out of rides. The last was a two-day in the canyonlands beyond Oreana, where about 30 of us Hallowed Weenies braved chill mornings to trot the trails a final time before tucking ourselves in beneath the coming snow. The first day took us 55 miles under cloudy skies, with just the barest hint of rain on our first loop. 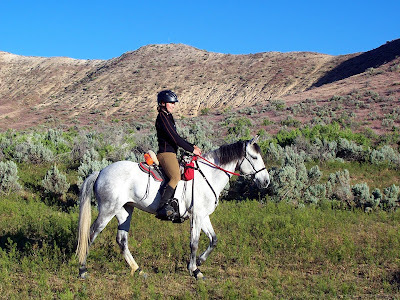 I rode with Karen Bumgarner and Thunder, and Laurel and her off-track, roan mare, Buffy. The first loop was reasonably fast and uneventful…except when Thunder’s offside hind plummeted down an unseen hole, throwing him nearly to his knees as he struggled to remain upright. After a few, tense minutes, we judged him sound. He stayed that way through the endless second loop, which carried us for miles up a wash plagued with gnats. 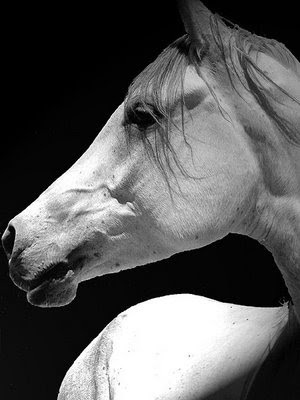 Deep sand and exposed rock prevented trotting, and the obviously thirsty mares refused to drink amid the bugs. We crashed through brush so thick we couldn’t see the trail, depending on ribbons strung from branches to help us find our way. Sometimes, we could scarcely see for squinting and waving our hands to fend off gnats. At long last, we climbed back to the rim and trotted again, found water, escaped most of the bugs. We wound past the wind caves, whose eerie hollows carved by the elements play like flutes in a stiff breeze. Then it was back up the rocky, sandy wash to the vet check, and back along the morning’s route to camp. I didn’t sleep my best that night. 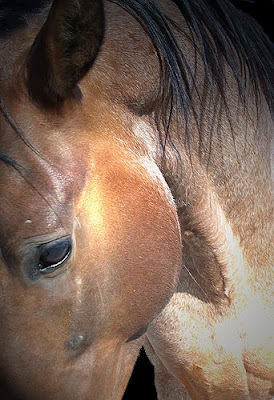 Though Thunder had finished completely sound, he had a small, unsual area of swelling on his off hind. Karen made the obvious decision: He’s fine now, but he may not be after another 50 miles. Not goin’ tomorrow. Meanwhile, Laurel was going to stick in camp and volunteer becasue Buffy wasn’t ready for multi-days yet. Consolation and I were on our own. This wasn’t a novel concept. We condition alone most of the time. Consolation’s first several endurance rides were completed solo, or with whatever miscellaneous company we happened to join on the trail. 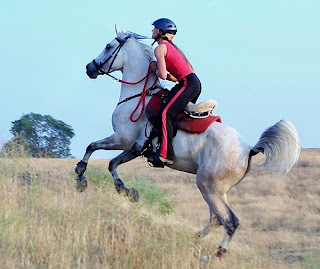 But this year, got into quite a habit of riding with Karen and Thunder or Blue. 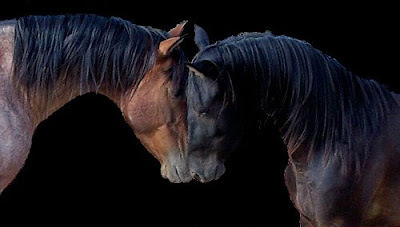 Consolation and Thunder, in particular, have kindled their own little romance. And while Consolation seemed finally to have discovered her ability to maintain a decent pace, I remembered how draggy she could be on her own…and, on the flip side, how racy. How much of a battle might the morrow be? These were the thoughts that tumbled through my head all night, as my camper heater clicked on and off and the temperature outside dropped just to freezing. Come morning, I cooked some chicken and peppers and eggs, pulled on several layers of fleece, and stepped out to see what would happen. And now, we are home again. Weekends are slow and still. I drink coffee from completion-award mugs and mull over the good times. I marvel at how far we’ve come. (Remember the days when all my Barbs were too wild to touch? When illness and injury seemed to block Aaruba and me at every turn? When training wasn’t going well and Consolation was NQR and relationships were cracking and money was tight?) And yet, the Halloween ride tipped me over the 1,000 AERC mile mark. Consolation is at 825. Yes, I marvel at how far we’ve come…and even more at how far I still want to go. But for now, our dawns bring a wreath of frost for every fencepost, every blade of grass, even the fetlocks of sleeping horses. I hunch my shoulders and watch the cloud of my breath as I trudge out to feed. 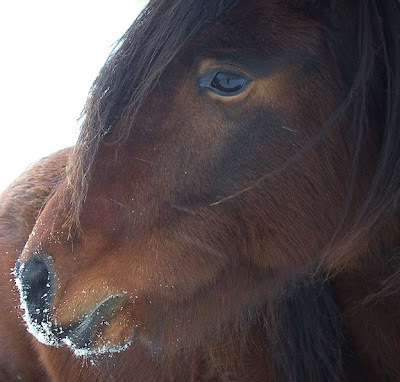 I am greeted with nickers, eyes dark and bright in wooley faces, the hollow ring of hooves on frozen ground. This is resting time. Consolation will have a month to eat, relax, and play before returning to enough work to keep her reasonably fit for 2012. I have a couple projects in mind for us — ones we can work on even in winter conditions that sometimes render trotting unwise. Yes, we have come far, and we have far to go. This year, we found our way to multi-days at last, and we joined in the area’s last ride for the first time. Perhaps, next year, we’ll extend a little more to include the first rides of spring. But not today. Today, we loosen our cinches and enjoy the hold. Okay, I’m a couple weeks late getting this story up, but bear with me — there’s a surprise at the end. We were barely out of sight of camp when Consolation began acting strangely. She refused to trot. Lashed her tail. Tossed her head repeatedly and violently to the right, nearly hitting my knee. Threatened to buck. Was she tying up? Was her tack pinching? Was she colicky? Crampy? Just plain bitchy? I dismounted twice, uncinching, checking boots, and re-adjusting her saddle pad. I tested her hindquarters for cramps, observed her expression and flank for signs of distress. Nothing. Karen couldn’t see anything either. Nothing but odd behavior with no apparent cause. Walking seemed okay, but trotting aggrivated her — any trotting, but particularly downhill. We tried sending Thunder ahead as motivation. Nothing doing. So, we walked on for a mile or so, hoping that whatever the problem was would work itself out. When we came to the first uphill, I asked for a trot again, and Consolation agreed to move out. She still felt a bit sticky, but the head tossing and tail-lashing had abated. Her respiration and gait seemed quite normal. We carried on. Over the first five miles or so, Consolation gradually relaxed. The strange behavior resurfaced a few times, but grew milder and then disappeared. All we could figure was that she had a few hairs sideways and decided to be marish about it. Perhaps all she needed was a bit of sweat under her saddle. The trail led across the desert, dropping into a small canyon whose terrain slowed us for the last mile into the first vet check. Though we’d only gone about 12 miles, Consolation was very interested in grabbing weeds to munch as we picked our way along. She isn’t normally that hungry so early in a ride. I speculated that the last night’s windstorm has interrupted her eating, maybe even made her a touch belly-achy from stress. In any case, she seemed fine — just hungry. Ironman met us at the hold, where Consolation received an unusual B on gut sounds but proceeded to eat and drink well. Half an hour later, he waved as both horses trotted briskly out of the check, headed for a 25-mile loop known for very rocky footing and a horny jackass. The reports of rocks were not exaggerated. Karen and I took the loop slowly, not willing to risk our horses’ soundness on the rough footing. Those 25 miles took nearly 4 hours, but they were scenic, the weather pleasant, and the conversation engaging. We climbed into sage and juniper country (which made me sneeze), dropped down to Crazy Woman mine, and passed an amazing stone corral. Somewhere down there, a gigantic, horned owl flew up and Consolation spooked so hard she jumped right out of a hind boot. I barely talked her out of a buck-and-bolt as the boot flapped by its gaiter, but managed to dismount safely and re-install it…just in time to climb the hill to our next adventure: The Horny Jackass. He’s a legend. Everyone at the Owyhee rides knows about him. 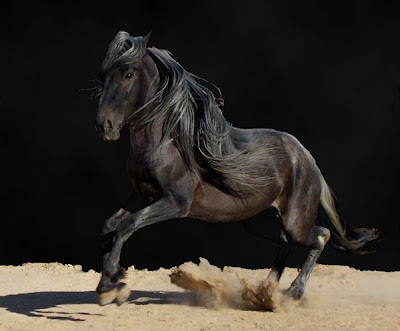 He runs with a pair of wild bachelors, and earned his name for his aggressivly amorous behavior toward passing horses. 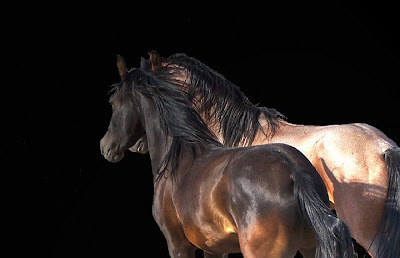 Horses under saddle. 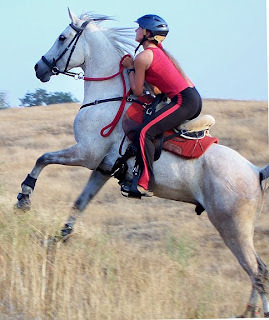 Horses on endurance rides. 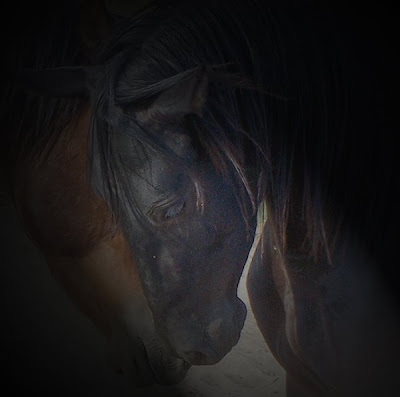 We hoped not to see him (despite wanting a look at his wild herdmates), but you know what’s coming… We followed the ribbons toward a fenceline above the stone corral, glad to be trotting again after all those rocks, and then we spotted them — the two horses and the Horny Jackass — right smack in the trail ahead! Karen opened the gate through the fence while I gathered a handful of rocks in case we needed to defend our horses’ honor. (Do I look like I need a Barb mule??) 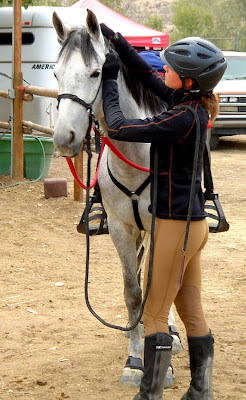 We debated whether leading or riding would be better, and opted for leading. We scooted away from the trail, giving the Horny Jackass a wide birth. He followed us with eyes and ears, but kept his hooves planted. Whew! Back at the vet check, Ironman told us that the frontrunner’s gelding had had a rather personal encounter with the Horny Jackass. Fortunately, no one was hurt (except, perhaps, the Jackass’ ego). Consolation’s gut sounds were back to an A, her behavior was completely normal, and all was well as we set out for our final 12 miles back to camp, where we finished in the back third of the pack, which was just fine with us, especially since Karen had her sights on riding Thunder all 5 days. We vetted through in fine form, and then began the preparation for the following day. No rest for the wicked! Administer electrolytes, untack, clean boots, hose down, soak beet pulp, restock saddle bags… Finally, Ironman grabbed a couple beers and we led Consolation over to the grass to graze while watching the last riders come in. Half an hour later, I suggested we take Consolation back to the trailer so I could put clay on her legs and shower before dinner. Ironman agreed, but said we should take the long way back, around the upper drive instead of through camp. But why? The other way is shorter! Oh, c’mon. It’s a nicer walk. I pivoted. And he was kneeling on the gravel. With a ring. The details are my secret. 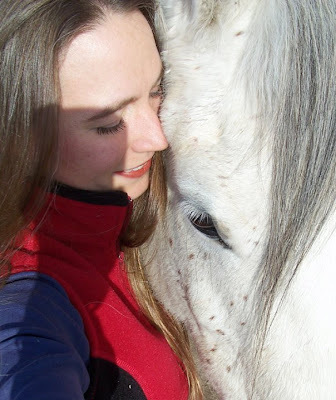 Suffice it to say that as I walked back to the trailer under a warm, evening sun, I had a good man in one hand and a good horse in the other. That seemed just about right to me. Dawn in the autumn canyonlands is dark, brisk, tinged with dust, filled with the rustle of riders sharing coffee and mixing feed. 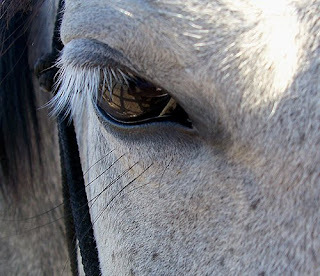 Occasional whinnies send small thrills down our spines. We are here. It is time. In two hours, the first of five endurance rides will begin. I arrived in the Owyhees with the intention of riding three days and volunteering two. Day 1’s trail ran along the Snake River, whose buggy, fishy shores have always failed to coax Consolation to drink. With the only other water being at a vet check at 15 miles — just on the cusp of when Consolation typically starts drinking — I decided not to risk it. I’d volunteer with Ironman on Day 1, and start riding on Day 2. 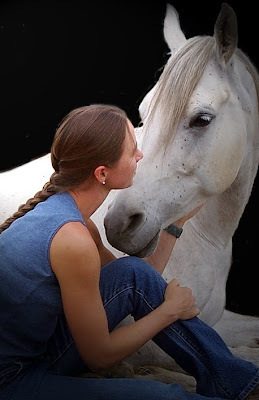 But then, my friend Karen Bumgarner offered her horse Blue, the sweet, 8-year-old Arabian with whom Consolation and I rode at Cheap Thrills. I debated briefly — the money, the threat of worse back pain later in the week — but decided not to pass it up. And so, dawn found us warming up Z Blue Lightning and Z Summer Thunder, who was staring down the 2,000 AERC mile mark. We started as the frontrunners clattered out of sight, preferring to keep our horses quiet and relatively slow. A long week lay ahead; no sense burning too much wick too soon. Content to be in each other’s company, Blue and Thunder set out earnestly and carried on all day. An easy trail — particularly by comparison to the mountain rides at Pink Flamingo and Old Selam — carried us across the desert to a vet check, where Ironman took a break from vet scribing to hold the horses while Karen and I set about refueling ourselves and our mounts. As the four of us munched, it became clear that a large number of riders who should have been ahead of us, weren’t. It seems that, just half a mile and one hill from the vet check, about 15 riders had taken a turn that was supposed to wait until after the hold. Management was just re-marking the section when Karen and I came through, but the error cost the frontrunners quite a few miles — up to 14, from what I gathered. Ouch. The horses felt strong and the day, though hotter than usual for the Owyhees in late September, relatively pleasant. We breezed back to the vet check for our second hold before we knew it, and had only 12.5 miles more to get home. Blue covered them easily, even sharing a little of his wonderful canter with me, and had already pulsed down when we arrived at the finish. 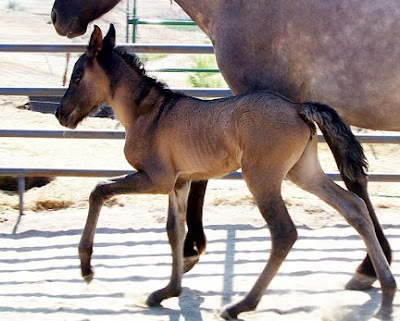 Thunder — now a 2,000 mile horse — looked like he’d hardly been out out for a stroll. Day 1 down! 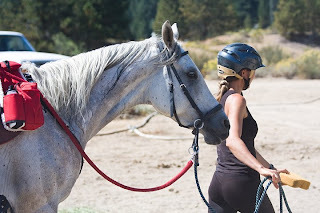 We untacked, washed Easyboots and horses, grazed the boys for a bit, reassembled our tack and crew bags for the next day, and managed to squeeze in showers for ourselves. Blue Canoe served dinner, the talk of ridecamp at dinner was the Great Getting-Lost episode, and for completion awards, Steph Teeter handed out magnets with little Owyhee ride scenes she’d drawn. At last, we crawled into bed (hooray for the new camper!) and let our weary bodies pull or whirring minds toward sleep. Morning would come soon, and with it, 50 miles more. You know, I think I’m starting to get the hang of this. Consolation. Training. Endurance. Relationships. Life. Everything. Okay, okay, so I’m in a happy place. Happy places don’t last forever, but they sure are nice. And as Karen Bumgarner and I observed while scampering down another hundred miles of trail at Old Selam last weekend, a big part of being in a happy place is choosing to make the place in which you are, happy. So I’m nesting my place with happy. Throwing rugs on the floors, putting pictures on the walls. Settling in to enjoy the ride. Speaking of rides, and happy places, Old Selam was pretty darn nice. As always, it was friendly (mostly…I can’t deny that the community does have its cliques and politics, but I prefer to just do my thing and steer around that crap) and scenic and crowned with lovely weather. Well, the mornings were cold. Very cold. I stayed warm in my sleeping bag with the help of some super-cool, military surplus heating pads I found at Boise Army Navy, but there was frost on the grass when I stepped outside. I’d blanketed Consolation and left a sheet dangling over her rump while I saddled up, but she was shivering when we stepped out of her little corral for a warm-up walk. By the time I mounted, Consolation (who’d packed her good-girl attitude and stood pleasantly still, unlike at Cheap Thrills) seemed comfortable, but my fingers ached inside my gloves. The hip I injured back in January registered its displeasure, too. I rode up and down through ride camp, trying to loosen both of us up while letting the frontrunners take off down the trail. Karen joined us on Thunder and we were about to start when a gray mule wearing a red blanket…and nothing else…streaked up the trail. It was Reba on the loose, following the herd! “Uh-oh,” Karen said. Yeah. 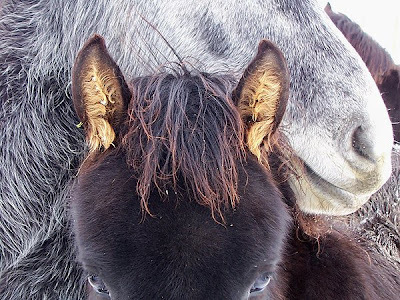 If that loose mule caught up with all those excited horses, things could get ugly. She didn’t, though. A group of riders managed to coax here back to her trailer, still loose but content to be in a herd, and Karen and I finally headed away. The first loops was long (about 27 miles) and beautiful, with plenty of water and new trail. Another rider, Dennis Zatteiro, who Karen remembered from back in his junior days, joined us early on. 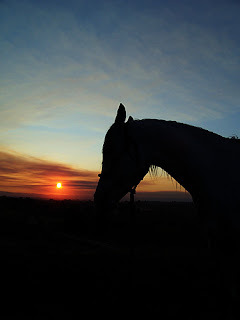 He and his lovely gelding, Rico, made for pleasant company as the sun rose and warmed us up at last. But something was bothering Consolation. A lot. 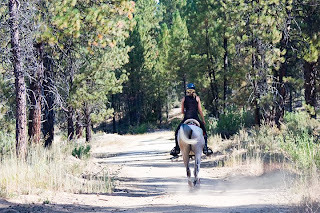 Every time we started downhill, especially trotting but even at a walk, she tossed her head and twisted her neck, slashed her tail, and stomped her hind legs as though being harassed by insects. There didn’t seem to be any insects, though…unless you count the one that stung Thunder and sent him into a momentary frenzy, poor guy. Thunder recovered quickly, but Consolation didn’t. At one point, I dismounted on a steep, rutted downgrade because she was so distracted I feared she’d fall on me. I checked her over but couldn’t find anything wrong. I searched my memory for incidents of similar behavior. Nothing. That was when I began to suspect the No-Wicky pad. She’d seemed fine with it on the conditioning trail, but we weren’t going as far or fast or steep. Perhaps, when moving downhill, the rough material pulled her hair. That would certainly irritate me! As soon as we vetted through at the hold (all A’s), I pulled that pad off and left just the latch weave wool pad I know she likes. We finished in 7:18 with all A’s and the vet’s approval to go again the next day. Ride management gave us “I’d Rather be Riding” sun shields for our car windshields as completion awards, then we hustled off to put our horses’ boots on in preparation for Day 2. The second 50 was split into 3 loops and didn’t start until 7:30, plus we rode a little slower (7:46 ride time), all of which added up to a longer day on Sunday. The trails were just as beautiful, but the second loop (23 miles) was a rough one for me. My lower back seemed to have gotten over its enthusiasm of the day before, despite another Feldenkrais lesson. Pain, pain, pain! Even dropping my heels a little sent a jolt all the way up through my shoulders. It was all I could do not to let it affect my riding, for Consolation’s sake. During the second hold, I followed a rather instinctive thought and discovered that sitting Indian style on a hard surface, allowing my back to slouch, provided the stretch and relaxation those stiff muscles needed. I leaned forward, then to each side, allowing my back to relax into the stretch for several minutes. And voila! The final loop was much less painful. I still need to work on the solution to the back pain issue. Perhaps there are some conditioning exercises I can do to better prepare. Maybe between Consolation and Acey, I can do enough downhill trotting to prepare my body without beating up theirs? I also need to keep up with Feldenkrais and flexibility work between rides — after all, these are things that provide the most benefit over the long term. Anyway, we’re back home now. A week out from the ride, Consolation looks fantastic. 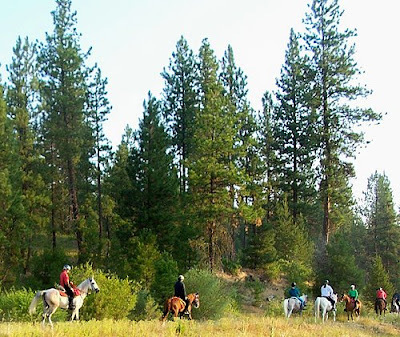 We’re all set to ride several days at Owyhee Canyonlands, which starts on the 27th in Oreana. I’ve taken delivery of 8 tons of beautiful hay from Oregon, which I now need to go outside and stack. I bought a new toy that I’ll share with you all shortly. This morning smells lightly of autumn.